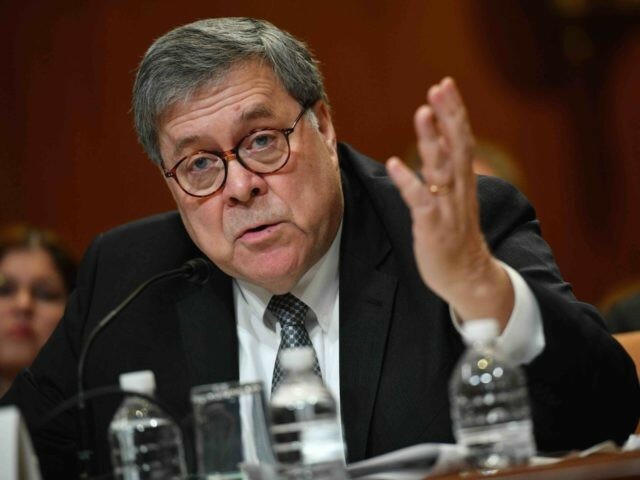 Attorney General William Barr told the Senate on Wednesday that he believed the Obama administration did, in fact, spy on President Donald Trump’s 2016 presidential campaign. Democrats and their media allies howled in outrage and derision. Speaker of the House Nancy Pelosi (D-CA) said that Barr “is going off the rails.” NBC News’ Chuck Todd said that Barr “gave credence to a factless conspiracy theory.” But Barr merely confirmed what is already known. As conservative radio host Mark Levin and Breitbart News pointed out in March 2017, based solely on reporting by the mainstream media itself (using leaks from law enforcement and counter-intelligence sources), there was clearly an attempt by the Federal Bureau of Investigations (FBI) to conduct surveillance on the Trump campaign. When President Trump tweeted, in apparent response to Levin and Breitbart’s summaries of the known facts, that “Obama had my ‘wires tapped’,” the media threw a fit, accusing him of spinning a conspiracy theory. Democrats, journalists, and Trump critics in general could not deny that there had been surveillance — and indeed, many stopped trying to deny it and started arguing that it had ben necessary. After all, if the Trump campaign had colluded with the Russian government, or Russian spies had merely penetrated the campaign, it was necessary to discover what was going on. Some even cheered the spying, arguing that Trump was a “domestic enemy” of the U.S. So the real question is not whether there was “spying,” but whether it was legitimate or not. Indeed, if it was not “adequately predicated,” then the spying may well have been gross abuse of power for partisan purposes. Democrats, and especially journalists, should also want to know whether the “deep state” abused its powers. Curiously, they seem desperate even to ask the question.